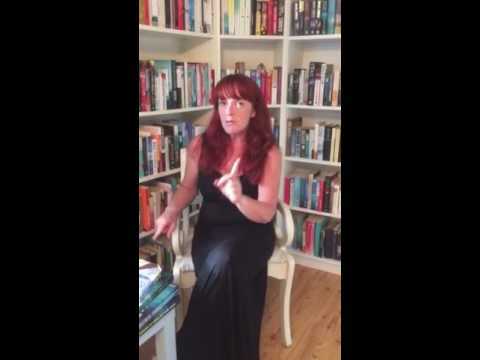 BleachHouseLibrary.ie: #IrishFictionFortnight - Day 10 - "The Ballroom Cafe" by Ann O'Loughlin. Review and giveaway. 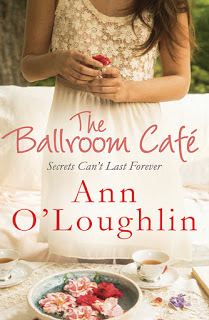 #IrishFictionFortnight - Day 10 - "The Ballroom Cafe" by Ann O'Loughlin. Review and giveaway. Thanks to the author, there are 2 paperback copies of this title to giveaway for #IrishFictionFortnight. Just enter via rafflecopter link below. Good Luck! Two estranged, elderly sisters, a well-worn period home that is in need of major renovation and a lifetime of secrets. A recipe for historical fiction. But, along with these storylines, there is the added tale of forced and hidden adoption in Ireland going back decades. It may sound like fiction, but unfortunately, it's based on true life. Author Ann O'Loughlin has written about a formerly-taboo subject; that of the Catholic church supporting the adoption of babies to wealthy American families, without the full consent, or even knowledge in some cases, of the birth mothers. The novel addresses the issue via the story of Debbie, an American who has come to Ireland in the hope of tracing her birth mother. While there, she encounters Ella O'Callaghan and agrees to help her with preparations to open The Ballroom Cafe, in the older woman's home. Ella's sister, Roberta, rattles around the old house with a bottle of sherry in her pocket and a years-old-feud with her sibling. They have not spoken in decades and only communicate via notes left on their hall table. Roberta does not welcome the American visitor, nor support Ella's idea to run a cafe from their old ballroom. The rivalry simmers at boiling point and the locals, who frequent the cafe, are more than delighted to watch the tensions within the household. Debbie goes on national radio to aide her search for her birth mother, and the whole village listen with anticipation of scandal. Ella is a tower of strength to Debbie, who needs all the support she can get, yet has her own secret hidden inside. Can the women of The Ballroom Cafe really know how much pain each one is in? This debut novel is extremely sweet, in more ways than one. The characters are drawn with love and compassion, the Ballroom Cafe, and its surroundings, sound idyllic and dream-worthy (the descriptions of baking almost waft off the pages) and the story is one of courage, strength and changing worlds. The writing is gentle and smooth and Ella is such a wonderfully drawn protagonist. There is a little too much emphasis on her collection of brooches, and I'm not sure that younger readers will identify with them, but the way she deals with her difficult sister and nosy neighbours is great. She is a woman that would be a pleasure to know in real life. The spiraling debt of a large country house is very apt in today's financial climate and makes the reader want to rally around to protect these structures from decay. The treatment of young women in Ireland's past is well documented these days and never pleasant reading, yet should not be ignored. I congratulate Ann on addressing the issue in her fiction debut and hope that it is an issue that will be delved into and dealt with accordingly, giving some peace to the the relatives and descendants of all involved. A gentle read, with a warm touch, considering the topic. A leading journalist in Ireland for nearly thirty years Ann O'Loughlin has covered all major news events of the last three decades. Ann spent most of her career with independent newspapers where she was Security Correspondent at the height of The Troubles, and was a senior journalist on the Irish Independent and Evening Herald. She is currently a senior journalist with the Irish Examiner newspaper covering legal issues. Ann has also lived and worked in India. Originally from the west of Ireland she now lives on the east coast with her husband and two children. The Ballroom Cafe is published by Black & White Publishing and is available in paperback and ebook format. chocolate cake with white icing. Hmm a sensitive topic indeed, but hats off for choosing it for her Debut. For cake I'm a bit picky has to be a buttery sponge any day. Chocolate cake, with chocolate filling & chocolate icing....covered in chocolate pieces! A really good lemon drizzle cake! Difficult to choose but I will go with banana nut loaf!